I am trying to restore a dead windows machine, all I have access to currently is an old mac. I am trying to accomplish this by downloading the Win 10 1809 iso and creating a bootable USB stick with it. Most search and stackexchange results walk through doing this with Boot Camp assistant, however it appears this ability has been removed in OSX 10.14, as I get an error message when I try to launch boot camp with any usb devices plugged in. Is there a workaround or other suggested way to do this? I have attempted downloading a few free tools which do not seem to work for various reasons, just wondering if I'm missing something obvious built into the OS before I start trying to dive into a specific tool to figure out what the problem is. One way get a current 100% genuine Windows 10 USB flash drive would be to run the MediaCreationTool18.09.exe application. This would require Windows. To get Windows you would have to download the latest Windows 10 ISO file and install Windows a virtual machine. Oracle offers A free virtual machine called VirtualBox. I believe you will need to instal the Oracle VM VirtualBox Extension Pack after installing VirtualBox. The link to get the MediaCreationTool18.09.exe application is given here. However, you can not access this link from macOS. You will need to click on the link while running a web browser under Windows. See this answer for an explanation. A possible alternative would be to MS-DOS (FAT) format (using the Master Boot Record Scheme) a flash drive and copy all the files from the Windows 10 April 2018 Update ISO file to the flash drive. If you use the Windows 10 October 2018 Update ISO file, then the flash drive will need to be ExFAT formatted. These ISO files can be downloaded from this website. Note: The official Windows 10 USB installer is FAT32 formatted. There is no guarantee your PC can boot from a ExFAT formatted USB flash drive. Not the answer you're looking for? 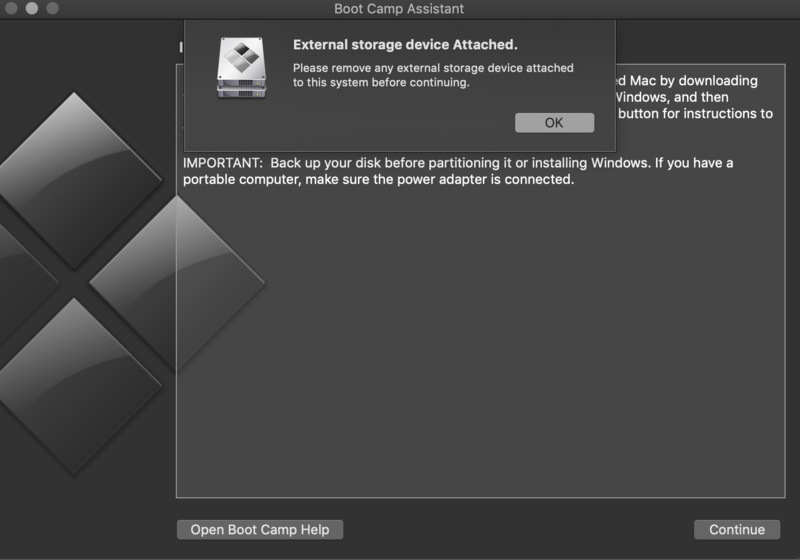 Browse other questions tagged bootcamp disk-utility boot . How to succesfully create a bootable Windows installation USB stick on Mac?